PARK RIDGE, Illinois – June 17, 2015 – PCMI Corporation is pleased to announce the integration of Service Payment Plan’s (SPP) 0% payment plan services into its Policy Claim and Reporting Solution’s (PCRS) dealer contracting module – Open Sales Platform. SPP’s addition to the Open Sales Platform allows dealers the ability to eRate, eContract and eRemit SPP’s payment plan contracts. The integration allows F&I managers to operate in one portal so they can focus on the transaction at hand. This eliminates the need to switch screens to rekey data into the SPP portal or various websites. “Service Payment Plan, Inc. provides consumers a way to buy vehicle contracts without raising the cost of their car payments. By providing real-time connectivity with SPP, our Open Sales Platform streamlines the process of selling service contracts. This level of integration eliminates the duplication of information and completion of multiple forms. Our customers can now offer consumers an error-free 0% payment process which speeds the whole buying process,” said Mark Nagelvoort, President & CEO PCMI. “We asked PCMI to be our technology partner to provide a streamlined solution and maximize efficiency for our dealers. PCMI is an industry expert with a knowledgeable team that is dedicated to providing the highest level of service. In addition, PCMI takes the time to maintain and support various menus, as well as desktop solutions, so we can stay connected. Thus, we do not need to build our own platform,” said Bob Hymen, President, Service Payment Plan, Inc.
About Service Payment Plan, Inc.
Service Payment Plan, Inc. (SPP) is a privately held Chicago-based corporation that provides an interest-free payment plan to pay for extended vehicle service contracts. 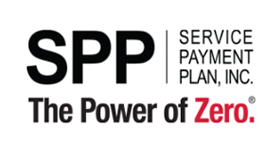 Since 1983, SPP has been the leader in administering interest-free payment plans for service contracts on new and used vehicles for both manufacturer and independent service contract providers in the United States and Canada. For more information contact Bob Hymen at roberth@sppinc.net or call (312) 980-6221. PCMI provides the technology to increase sales and provide automation in the administration of extended warranties, service contracts, prepaid maintenance, theft prevention and detection, GAP and manufacturer’s warranty claims. The company leadership brings decades of policy claim and reporting software technology to the market. Its software supports domestic and international markets for auto, consumer and home extended warranty providers. For more information contact Mark Nagelvoort at mark.nagelvoort@pcmicorp.com or call (847) 653-6916 ex. 100.